If you’re reading this, there’s a pretty good chance you’ve already started learning design skills online. There are a ton of amazing of ways to learn design online, and our goal at RookieUp isn’t to reinvent the wheel. Instead, we want to pick up where most online courses end, by helping you build an amazing portfolio of detailed design projects that will land you your dream job in the creative industry. At the same time, we know that design education is an ongoing process and when you’re spending so much time building up your portfolio, it can be hard to make time to continue your education and find new sources of inspiration and learning. So to help make things a bit easier as you deepen your knowledge of design fundamentals and principles, we’re excited to announce our new partnership with the Interaction Design Foundation, a global independent nonprofit initiative with one goal: to raise the level of design education through an incredible curriculum of UX Design courses and an amazing community of global designers. Every week, Interaction Design Foundation publishes new articles, community discussions, and courses to help spread design education to an ever-growing audience of aspiring creatives around the world. We’ve spent the past few weeks going through some of their courses and are constantly amazed by the sheer quality and volume of content they’re been able to create and distribute at such low prices (and as a RookieUp student, you get 3 free months of access to all of their courses!). 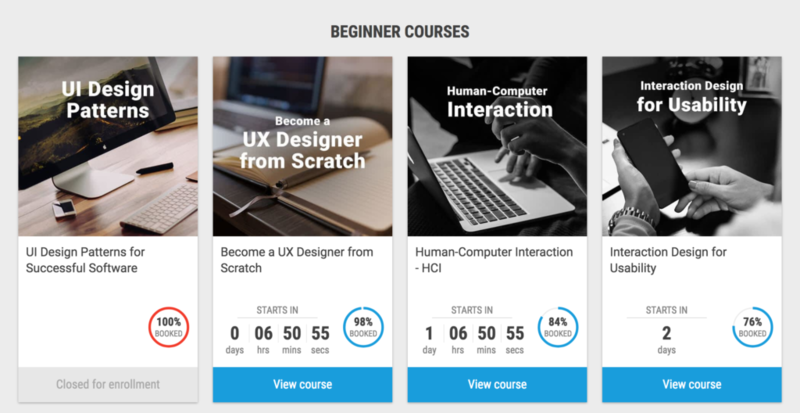 If you’re curious about the type of content they have for new designers, check out their Become A UX Designer from Scratch and Get Your First Job as a UX Designer courses. To give you a bit more info about their organization, we asked a few questions to Mads Soegaard, their Editor-In-Chief, about their mission and how they create their amazing curriculum. How do you approach creating your courses? The majority of content on our platform is completely free, with a quality superior to that seen in some of the best publishing houses in the world. We have contributing authors like Clayton Christensen (invented the term “disruptive innovation” and serves as a senior advisor to the White House) and Don Norman (invented the term “User Experience”). For one course, we flew to Germany and spent several days recording a world-renowned German professor, Marc Hassenzahl, in order to create a completely free textbook on User Experience. All the videos are professionally edited and are completely free to watch. We also flew to Cambridge University with a film crew, persuaded a museum let us film after closing hours, and had professional editors compress it to 2 short videos. How large is your community across the globe? We’re also proud of the fact that we currently have 471 Local Groups in 84 countries. The IDF Local Group Initiative has the goal of educating, stimulating and inspiring the global design community through vibrant local groups all over the world where people frequently meet up and have quality interactions. At these meetings, both members and non-members can meet up and smile, laugh, learn and advance their careers. A global movement to advocate great design and what great design can do for humankind. Nothing less. How does your curriculum work? The primary value added for members is unlimited free access to top quality courses in the field of UX design. Courses are self-paced so you can continue your day job while learning in your spare time, and receive industry recognized certificates on successful completion of courses. 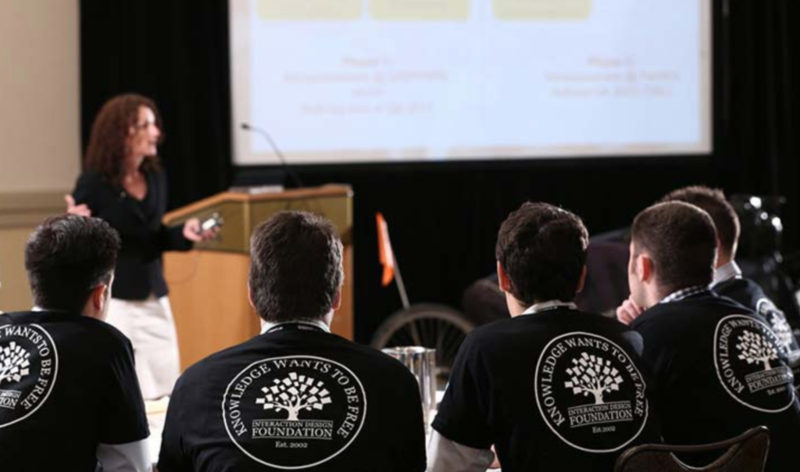 There are instructors for every course to clear up any concerns, and members can learn with and from hundreds of peers across the globe. We encourage the community learning aspect as it’s a way to meet future friends, collaborators, and employers on. Our courses combine both text and video based lessons, and are full of both case-studies for example-based learning, and interesting theory for research-based learning. By now, hopefully you’re convinced that the Interaction Design Foundation is an amazing resource for you as you take steps to launch your UX career. And remember — RookieUp students get 3 months for free! So what are you waiting for? Go check out their courses and see how IDF can help you launch your UX career. Get our Portfolio Starter Kit to receive 3 free months of IDF access!